This thread is all about fashion magazines (local and international). I think that a lot of Pinoys (more so PEXers) are fashionphiles so I've created a thread where we can discuss everything that's related to the fascinating world of fashion publication. That includes fashion editors, designers, stylists, photographers, models, writers, style makers, etc. 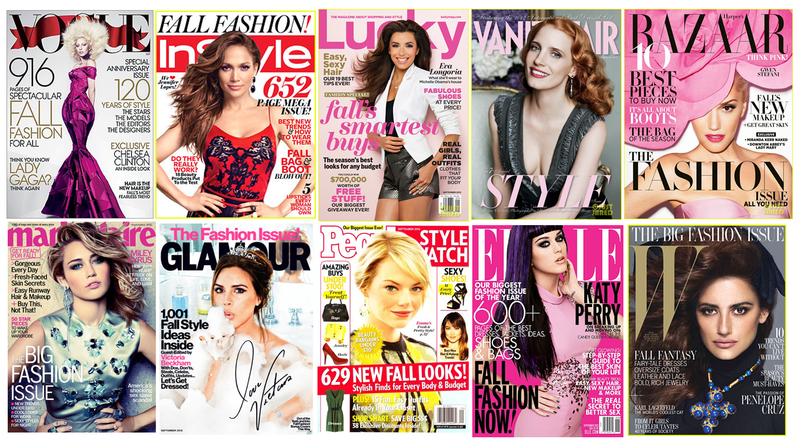 Vogue, Elle, Harper's Bazaar, W and V are some of the well-known titles that are circulated all over the world. Here in the Philippines, we have Preview, Mega and Rogue. We all have our favorites and preferences when it comes to these magazines. But one thing we can all agree on: we look forward to their every issue! They are arguably the best and most popular titles in the local publishing industry when it comes to fashion. Mega, headed by its editor-in-chief Sari Yap, is under ONEMEGA INC. On the other hand, Preview, led by Pauline Suaco-Juan, is under SUMMIT MEDIA. Both magazines have withstood the test of time, while keeping the Filipino fashion landscape relevant and at par with its international counterparts. Between Preview and Mega, which magazine is better in showcasing Filipino fashion? Which of the two produced better covers? Overall, which is a better fashion magazine? Preview or Mega?